About 13 people have been reported dead following an overnight attack in Jol village in Riyom Local Government Area of Plateau State. Official sources say the attack took place on Tuesday night while Senatorial Primary elections were holding in the State. The attack was believed to have been carried out by Fulanherdsmen. No arrest has however been made in connection to it. Meanwhile, Nigeria Army authorities yesterday paraded 30 people arrested in Du-rah community in Du district of Jos South Local Government Area. The 30 were arrested in connection to the disappearance of retired Major General Idris Alkali. Although the arrests were said to bearbitrary as reported by MKB yesterday morning, the Nigerian Defense Headquarters has posted on its official Facebook page that it recovered some weapons in possession of the suspects. It also vowed to continue the search operation until the missing General is found. The Deputy Director, Army Public Relations, 3 Armoured Division, Col. Kayode Ogunsanya yesterday told MKB that the army was on a mission to find missing Major General Idris Alkali (rtd) whose vehicle was discovered in a pond near the community after days of search by the army authorities. 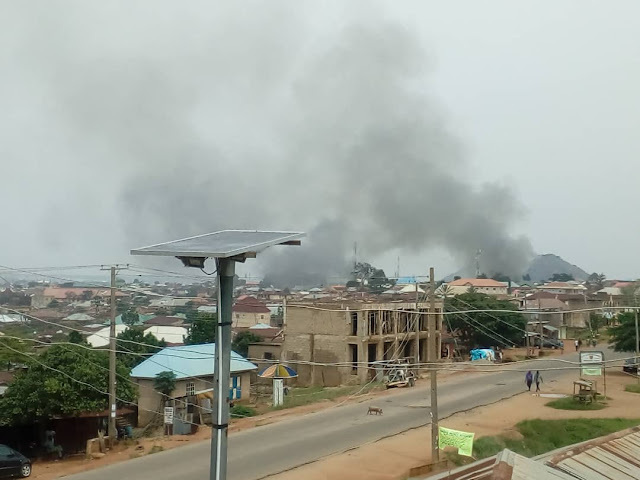 "The general area of Dura - Du district in Jos South Local Government Area of Plateau State has been cordon off. "The aim is to search for the missing Major General Idris Alkali (rtd) dead or alive," he said in a text message. The arrest has created palpable fear in and around the community of a possible massacre as once witnessed in Zaki Biam, Benue State and other places. The army authorities had however said last week that it was not considering any such actions.